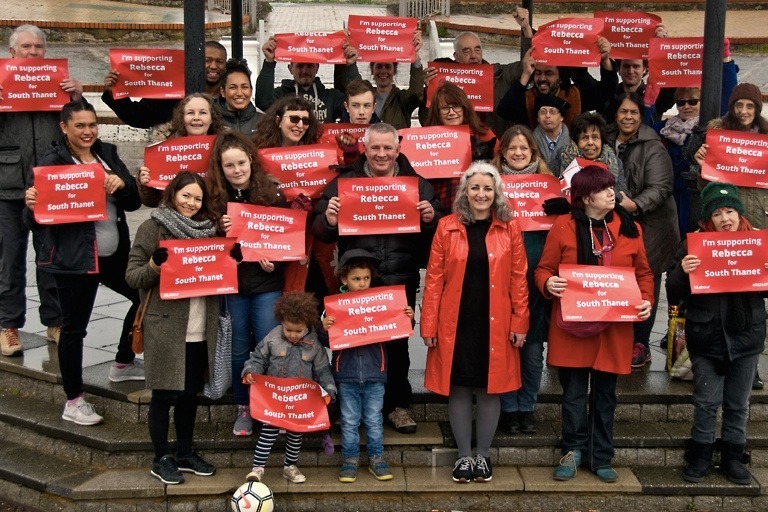 In April 2018, Corbyn supporter Rebecca Gordon-Nesbitt was selected as Labour’s parliamentary candidate for the “key marginal” seat of Thanet South. She beat the more ‘moderate’ local councillor, Karen Constantine, by 17 votes – despite the fact that the latter was backed by a rather unholy alliance of Unite, Unison, GMB and, somewhat strangely, Momentum. We hear that Constantine had never been seen at a Momentum meeting and only started to back Jeremy Corbyn for Labour leader once he was sure to win. On Twitter, she proudly declares that her “motto” is: “An ounce of action is worth a ton of theory”. Gordon-Nesbitt, on the other hand, is known as an outspoken Corbyn supporter and life-long socialist campaigner. So no real surprise then that local members chose the more leftwing candidate (as would probably be the case almost everywhere, if members were allowed to democratically select their prospective candidate via a system of mandatory reselection). But clearly, not everybody was happy about the result. Two weeks after the local decision, the revolting Guido Fawkes published a take-down piece on Gordon-Nesbitt, who works as a researcher to, among others, Labour peer Lord Howarth of Newport. Fawkes published a small number of tweets released by the Centre for Cultural Change in 2016, to which Gordon-Nesbitt contributed. As is unfortunately now the norm in the Labour Party, the tweets were – probably simultaneously – passed on to the compliance unit of the Labour Party, an investigation was opened and Labour’s national executive committee decided to put on hold the required endorsement of her candidacy – a highly unusual decision. Guido Fawkes seems to have had already had a good inkling of the result of the investigation even before it started: “Assume Gordon-Nesbitt will be deselected if Corbyn is really taking anti-Semitism seriously…”, he wrote in April. Even the most biased bourgeois justice system would have laughed this ‘evidence’ out of court. Not so today’s Labour Party, unfortunately, which is cleaved apart by the ongoing civil war that began with the election of Corbyn. In July 2018, the NEC – even though it was now ostensibly dominated by the ‘left’ – voted to refer the case to its kangaroo court, the national constitutional committee (NCC). This is a crucial body in the party. It deals with all disciplinary matters that the NEC feels it cannot resolve and – given that the NCC is dominated by the right – the referral of a leftwinger usually results in expulsion from the party. Incredibly, even after its recent expansion from 11 to 25, only a minority are chosen by rank-and-file Labour members. Gordon-Nesbitt describes how “months went by, but nothing happened”. She continued to be the officially selected candidate and campaigned with local party members. Six months after the referral to the NCC she was invited to an interview – not with the NCC, but with a panel of three NEC members. Gordon-Nesbitt writes that she came to the hearing on December 18 “armed with a dozen endorsements from local party members, a respected rabbi, an Oxford University anti-Semitism expert and a sizeable group of parliamentary candidates from around the country, all of whom said in various different ways that neither I nor the tweets were anti-Semitic”. Her local Labour Party continues to support her: The CLP executive, its branches and the CLP women’s forum have all rejected the NEC’s decision. An emergency meeting of the CLP’s general committee is scheduled for later this week. We understand that, worryingly, leftwinger Claudia Webbe was one of the three NEC members on the panel. In fact, she was the only one who was there in person – the other two were listening in via speakerphone. 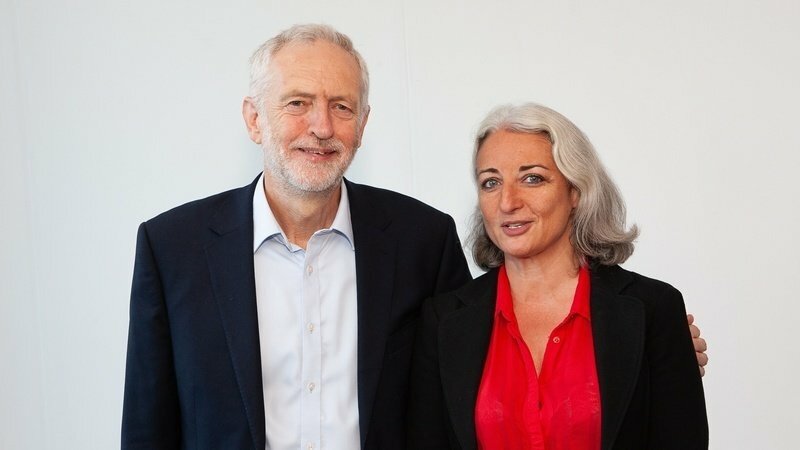 In July, Webbe replaced Christine Shawcroft as chair of the NEC’s disputes panel, having been nominated to the post by both Momentum’s Jon Lansman and Pete Willsman, secretary of the Campaign for Labour Party Democracy (Webbe also serves as chair of the CLPD). It is unusual for Lansman and Willsman to agree on anything these days – the former comrades who worked together for decades in the CLPD have fallen out spectacularly over the last 12 months or so, after Lansman falsely accused Willsman of anti-Semitism and dropped him from Momentum’s list of recommended candidates for the NEC (Willsman was elected anyway). Of course, we do not actually know how Webbe voted. These hugely important decisions are kept secret, away from the membership. She certainly has not made her views on the matter public. But we know that she is an ally of Lansman, who, we have been told, is campaigning against attempts to allow the next full NEC meeting (January 22) to revisit the panel’s decision on Gordon-Nesbitt. Momentum locally and nationally has certainly not raised a finger to defend her or the democratic will of the local members. NEC panels have the right to make decisions on behalf of the executive and those decisions do not have to be ratified by the full NEC. But, as Darren Williams explains, they can be “revisited” and overturned by the NEC. Williams seems to be the only NEC member who has come out publicly on this case, though we understand that he is not the only leftwinger on the NEC who is “unhappy” about the panel’s decision.5 We might find out more on January 22 – but isn’t it a pity that there are no official minutes of NEC meetings? We have to rely on the few reports produced by individual members (who only report on decisions they find interesting or important, of course). This case does shed a rather worrying light on the state of the so-called ‘left’ on the NEC (and the wider party). Lansman has thrown himself with gusto into the campaign to equate criticism of Israel with anti-Semitism – a campaign whose chief target is, of course, Jeremy Corbyn himself. While Lansman has always been a soft Zionist, he has certainly found his hard-core Zionist feet in recent months. He successfully campaigned for the NEC to adopt the ludicrously inaccurate and pro-Zionist ‘Definition of anti-Semitism’ published by the International Holocaust Remembrance Alliance, with all its disputed 11 examples. Lansman and his close allies make up about half of the nine NEC members elected by party members on the slate pushed by the Centre Left Grassroots Alliance. Darren Williams, Pete Willsman and Rachel Garnham seem to be the only NEC members with at least half an occasional backbone. Even though Unite is run by Corbyn ally Len McCluskey, the numerous Unite members on the NEC tend to vote – in general – with the rest of the unions on Labour’s leadership body. This is particularly worrying, as Jeremy Corbyn remains a prisoner of Labour’s MPs, who are far to his right and, of course, to the right of the majority of members. Refusing to endorse a candidate who would have been a very valuable ally of Corbyn makes you wonder on which side Jon Lansman and some of his allies on the NEC really stand.